When you live in the countryside or even further out in the wilderness, you become much closer to certain aspects of nature and you get to understand their purpose and their relevance, their indispensability more than you would ever think about in a city. The Moon is one of these; you might notice its beauty during full moon once in a while in the city but when you’re our in nature the transform into something more than just a beautiful sight. Until recently we had the pleasure of enjoying moonlit walks, moonlit serenades and even moonlit showers, when you simply could leave the flashlight at home because the nights are so bright. Or we could speculate about the weather in upcoming days according to how the moon looked, something that we learned from our grandfathers. Kissing under a fullmoon also has its magic. But this year we created our own moon calendar after studying the ideas of Rudolf Steiner and principles of anthroposophy, as well as biodynamic agriculture. Personally I was very much inspired by the visiting professors from Switzerland through the group of Transylvanian Herb Garden. They showed a great example as they pointed out how everything is connected around us. This made me study more ideas of planting by the moon. Much of the studies that have been made based on these principle were believed to be biased and based on magical thinking. However, we gave it a try with a lot of excitement and with eagerness to observe the results. 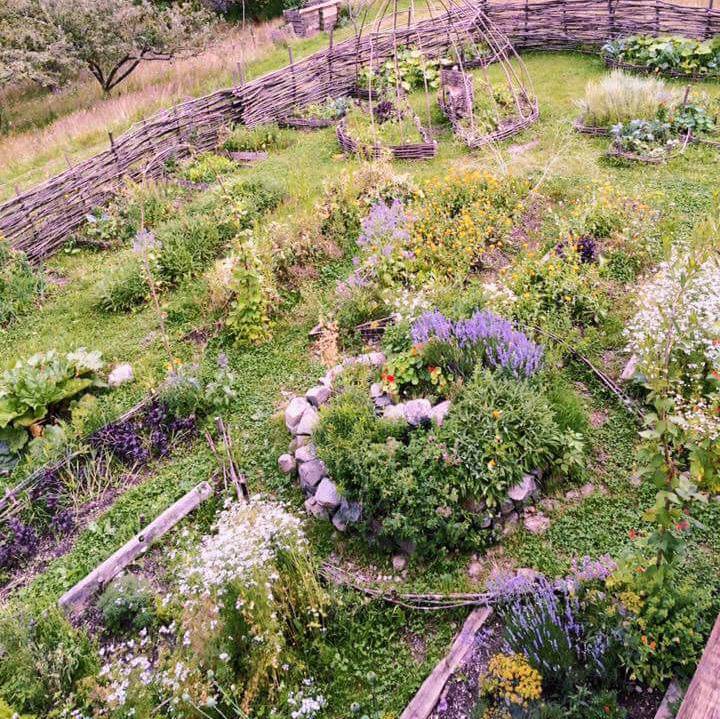 This is what we did: we carefully studied the science behind biodynamic agriculture and gardening according to the moon phases, how the moon influences the moisture levels in the earth, and what kind of effects it has on the time we chose to plant, to transplant, to harvest and so on. We also read a lot about the zodiac, and how different signs influence crops. We always consulted our moon calendar before doing any gardening, following it as much as possible. Following a moon calendar is easy but it can also be restricting, and sometimes as we passed by favorable zodiac, we didn’t have a lot of time for gardening. Nevertheless, the calendar is a great help and an indispensible guide, and once you understand how it works you know what you need to do just by looking at the moon. In 2016 spring came suddenly, but then when all the trees were in bloom and seedlings already growing in the greenhouse, we had heavy frosts and lost a lot of plants as well as tree blossoms. We though that this will hinder our harvest and that despite extending the garden, we won’t have a lot of crops. But our worries were in vain, as we saw, starting from early summer into late autumn, the abundance and quality of crops. Not only that we had the biggest quantity of crops in the last 5 years, but their quality, taste and size were also considerably better than ever before. The moon indeed has a great influence on all living beings, and its most obvious influence is on water levels, which is easily seen in the tide. It works in a very similar way also with moisture levels in the ground, pulling and pushing water and the energies of the earth, but it’s just harder to see then the very obvious changes in the tide. ighbors cows has lost, and we stuffed it with manure. Then we buried the horn in the ground and now we’re waiting for the spring, when we will dig it up, take out the fermented manure, dilute it and sprinkle the garden with it. We can’t wait to try it. If you want to see an example of a moon calendar, you can find one here, and it also comes with explanations and interesting things that you might not have read about until now. In 2017, we plant to study more about these ideas and how they work, and hopefully have just as successful of an agricultural year as we did in 2016. You can find some of the works of Rudolf Steiner on Library Genesis, they are worth to read! 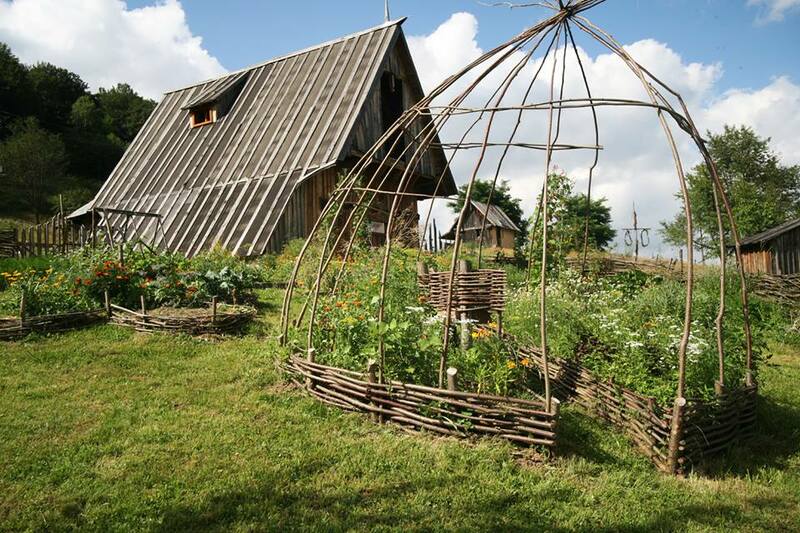 In 2017 you can also join one of our workshops or the Ranch Immersion Experience where you can learn about some of the activities mentioned above and gain a unique experience in our little mountain homestead.